Today I’m playing along with the Global Design Project Colour Challenge. 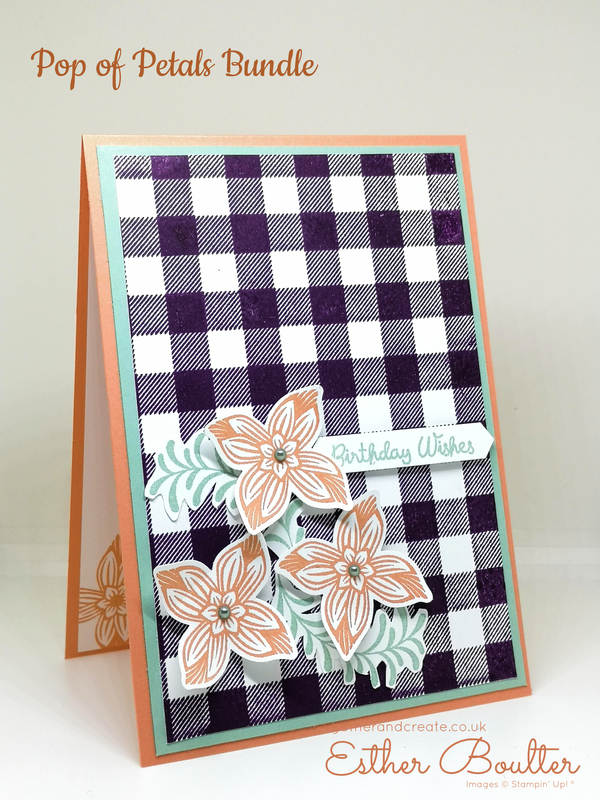 If you find yourself always using the same colour palette or you just need some crafty mojo! Then give a challenge a go! So I have to admit I’m a bit in love with the Buffalo Check Background stamp. Doesn’t it look gorgeous in Blackberry Bliss?? Truth be told, it looks fabulous in ANY colour. Stamp the Buffalo Check with a Stamparatus. Background stamps are BIG! and you want even pressure for the best stamped impression. You can also go over it more than once knowing it will be in the same position. The Pop of Petals bundle includes a handy punch for the flowers but did fussy cut the leaves.